The law says that helmets are compulsory, and that one should not drive a two-wheeler without a helmet. 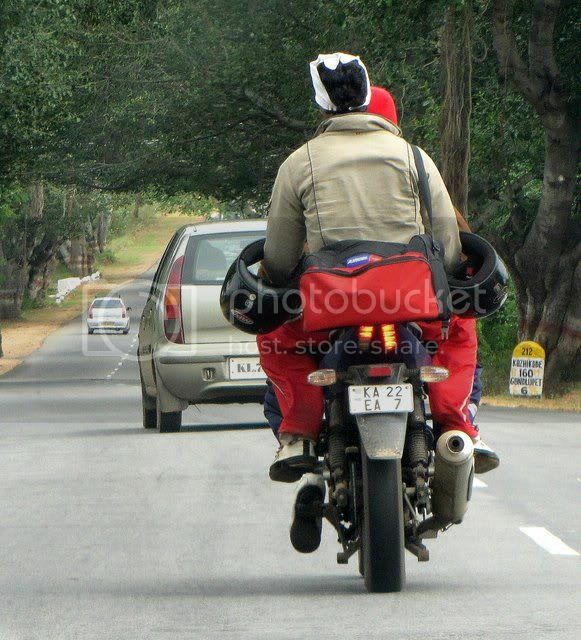 These gentlemen are totally law-abiding…they have not one helmet, but two! I’m sure they feel that their heads (and the brains inside them) are totally protected in case of an accident.